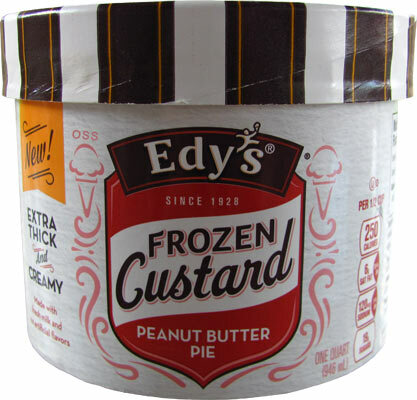 [By Nick, 2015-2016] ‎Finally, we've come to the end of all of new Edy's Frozen Custard line and it's also my first sampling of it. I'd just like to thank Dubba for taking one for the team and covering all of the other flavors before they were even available in my area. At least he saved me what could be possibly the best flavor out of the entire line for last. I mean, peanut butter and cookies are never a bad thing. That and I've yet to have a Peanut Butter Pie frozen dessert that has disappointed me. Haagen-Dazs peanut butter pie seems to have become a permanent limited edition and is still a flavor I repeat purchase which says a lot. Haagen-Dazs and Edy's are both owned by Nestlé so let's see if they can have the same luck when it comes to frozen custard. Ahh, I always love a pretty sight. 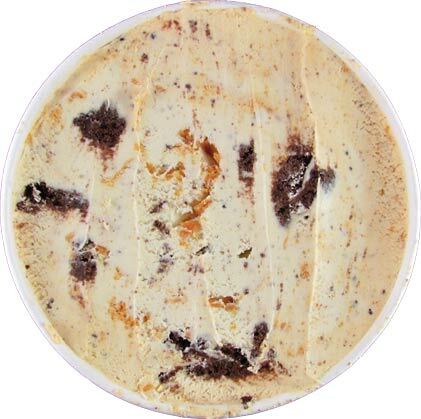 There's plenty of peanut butter and cookies visibly mixed into this quart of frozen custard. Since this is my‎ first experience with Edy's new line, I'll talk texture. Well, it's thicker than their normal stuff by a lot. When I first saw that they were making frozen custard I knew it wouldn't be like actual frozen custard but more of a super premium ice cream. That's exactly what we have here. It reminds me of a container of Haagen-Dazs or Ben & Jerry's just not quite as rich feeling. The flavor of this one is great. The sweet cream base tastes as described and is just a complimentary flavor and a vessel to hold in the mix-ins. The peanut butter swirls and chocolate cookies are everywhere. 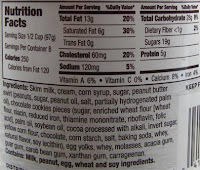 The peanut butter is smooth and not rock solid like some containers tend to be. 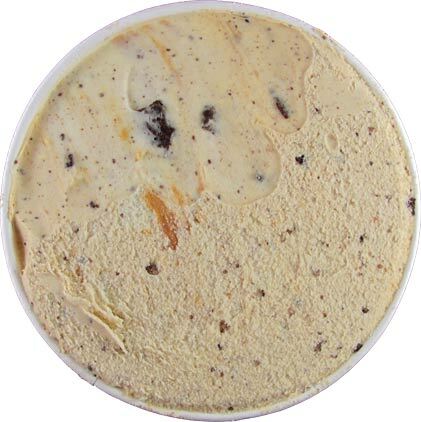 Mixed with the cookies, this one reminds me if you were to add a peanut butter swirl into your tradition cookies and cream flavor. Safe to say, I love this one. When compared to Haagen-Dazs version, I'd say the swirl and cookies are on par with it. I wouldn't be shocked if they're the same to be honest. However, Haagen-Dazs wins with their base. I prefer more peanut butter with my peanut butter and this flavor doesn't quite deliver that like H-D. That said, I would easily buy this one over and over like I do Haagen-Daz. 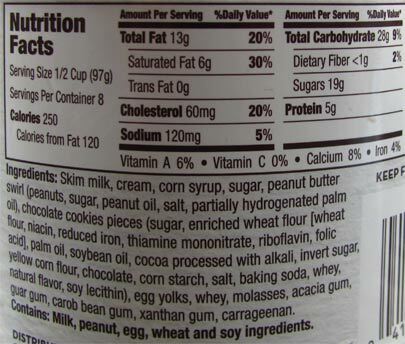 If you're looking to add some peanut butter to your cookies and cream fix, this is for you. Just don't think of it as frozen custard because this is just super premium ice cream under a different name. Just like Breyers Gelato is frozen dairy dessert in disguise. Gotta love those buzz words that aren't regulated. I'm surprised that Edy's finally delivered a decent one! Stride, I remember being a kid and Edy's was one of the top brands. I have high hopes they are on the road to redemption with getting their FDD act together ;) Nick, I can't wait to try this one. Once this bad boy goes on sale, it is mine! This one looks really good and is the first one that's really tempted me from the line.